A sure way to remove all stains, dirt, dust from the surface your carpeting with prices as low as £22. A rug cleaning includes not only sanitisation but also bacteria, stain and odour removal for just £17. Mattresses of all kinds, including foam, innerspring, hybrid and memory foam can be cleaned from £16. From dining and office chairs to armchairs and sofas - we can clean it all, prices start from just £5. Unlike most other types of cleaning jobs, the sanitisation of carpeting takes not only an extra effort but it also requires the use of special and powerful machines and tools. So, make sure you always book vetted carpet cleaners like those who make up our diligent and competent team of pros. 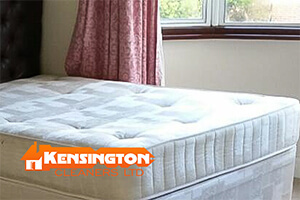 We from Kensington Cleaners LTD will not let you down since we are among the best in London. 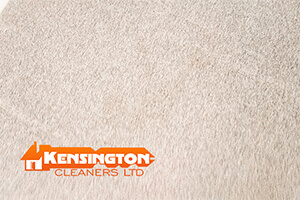 Our all-round carpet cleaning service in Kensington was developed to provide customers with outstanding quality, wallet-friendly prices and timely solutions. By booking us, you will receive an entirely individualised carpet cleaning service which will be carried out on a day and hour of your choosing, for a price that perfectly matches your financial abilities and in a manner that best fits into your expectations and requirements. Simply said, everything we do we do in the name of our clients’ convenience. All of the services that we offer are executed by highly experienced and thoroughly trained professionals who will never take advantage of your trust. We are happy to say that our skilled team regularly gets high praise and positive reviews from our clients and, given our staff’s speedy, cost-effective and risk-free style of work, that really isn’t so surprising. The seasoned pros that we employ will plan, organise and execute the cleaning job for which you have booked them and they will even give you some cleaning tips which you can use to better maintain your home, office, furniture and etc. Carpet Cleaning – a sure way to remove all stains, dirt, dust from the surface your carpeting. We will assess the material and the fibres of the carpet and choose the best cleaning method for it. Combine our carpet cleaning with our end of tenancy cleaning service and get a 50% discount. Mattress Cleaning – covers mattresses of all kinds, including foam, innerspring, hybrid and memory foam mattresses. An incredible solution that will help you get rid of unpleasant odours and stains. We offer a 10% price cut for customers who hire us for the cleaning of more than 3 mattresses. Sofa & Upholstery Cleaning – from dining and office chairs to armchairs and sofas – we are equipped and trained to clean various types of upholstery furniture. We sanitise fabric and leather upholstery. For services worth £80, we offer free office chair cleaning and jobs which are worth over £100 come with a 10% discount. Rug Cleaning – includes not only sanitisation but also bacteria, stain, urine and odour removal. Clients can also opt for a protective treatment if they want to keep the appearance of their rug fresh for a longer period of time. Prices start at just £14 for a small rug. Hard Floor Cleaning – available to domestic, business and commercial customers. We can treat both natural floor surfaces and man-made floors without scratching or causing any other kinds of damage to the flooring. We don’t use harsh chemicals. The starting price of the service is set at barely £2 per square metre. Jet Wash Cleaning – we have top-performance pressure washing machines which are ideal for the cleaning of paved areas, exterior walls, patios, driveways and etc. since they remove moss, grime and many types of accumulated dirt and residues. Prices kick off at only £2 per square metre. To win the war against stubborn stains and to prolong the lifespan of our clients’ carpeting, we use modern cleaning equipment. Up-to-date carpet dryers, rotary surface cleaners, commercial vacuuming machines and extractors – this is just a small part of our collection of tools. We use only latest-model equipment and we have properly trained our professionals to operate it in a safe and hassle-free manner. Namely machines like ours make all the difference between DIY and professional carpet cleaning in Kensington. The latter is always the better solution of the two as it kills off germs and dust mites, removes built-up dirt and pollens and it comes with a 100% quality guarantee. Try it and you will see that for yourself.